Migrate all mailboxes configured in Windows Live Mail. Upgrade the MS Office Suite to Higher Version of Office. Now compatible with Windows 8 Platform. View Outlook Express .dbx file contents in multiple views along with attachments. Export Selected DBX file items in PST, MSG & EML Format. Option to Add multiple DBX files or Add Folder having multiple DBX Files. No Outlook installation required to create PST file. Save converted DBX file with several naming options. Automatically detect the Outlook Express store folder location. "SysTools Exchange Recovery Software Now Shines Silver" ? MSExchange.org, the leading online IT forum providing technical information for the Exchange server admin to setup, configure, maintain and enhance the server environment declared Exchange Recovery tool with a SILVER AWARD. Nuno Mota, MVP for UK IT services provider in London who specialized in Exchange, Lync, Active Directory and PowerShell reviewed the product and after finding it satisfactory for the Exchange server recovery process, the 'Silver Star Rating' is been awarded. The leading team of experts from the review committee was in all praise for the tool, quoting the words of Nuno Mota; "No matter how adverse Exchange administrators are to failures and corruption, every seasoned administrator has had to perform some kind of recovery at least once. Although corruption is becoming rarer within Exchange, several factors can contribute for it to happen. When it does, SysTools Exchange Recovery is definitely a very useful tool to help recover data. Although this tool was specifically designed to recover data from corrupted EDB files, it can also be used to easily recover data from backups without having to create recovery databases or in scenarios when recovering data from an Exchange environment no longer in place. I personally felt the tool as the most user friendly application available online today, with some more inAUGations expecting in the upcoming version of the product." View Emails of MBOX File in multiple views along with attachments. Export Selected items or folders of MBOX into PDF Document Format. Advance search option to look for emails & attachments within MBOX file. Work on Windows 8 platform and no email client installation required. Support SQL Server 2012 alongwith SQL Server 2000, 2005, 2008 / 2008 R2. XML data type is supported in SQL Server 2005,2008/2008 R2 & 2012. Tool will show the item count for tables, views, triggers etc. after scan. It will now work on Windows 8 platform including all other previous Window OS. Export and Save Exchange EDB files to PDF File Format. Advance Search Option to Filter Emails within EDB File. No exchange server environment required to view EDB files. 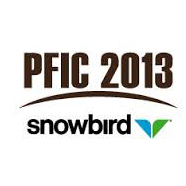 SysTools participation in PFIC 2013 gave new insights about the various topics of forensics domain interest. The event at Snowbird was scheduled with the sessions and activities giving details of the chapters related to computer forensics like Intrusions and Forensic Footprints (Hacker vs. Investigator), Malware Triage & Log Analysis, Shadow Volumes & Windows Artifacts, Advanced Mac Forensics Advanced Memory Analysis. For the topics like USB Drive Investigation & Tracking in a Multi-OS Environment and Shadow Volumes & Windows Artifacts SysTools introduced its highly advanced software applications like , Virtual Machine Email Recovery and many more. 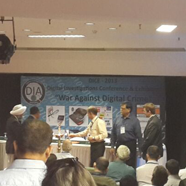 Digital Investigators Association is a not of profit body focused on correlating the use of scientific methods and cybercrime investigations. 25th October 2013 they conducted the Digital Investigation Conference & Exhibition 2013 at India Habitat Center, New Delhi, India. SysTools was the official sponsor of the event that became the venue for the meeting of officers and personals from various civil and law department like Cabinet Secretariat, Income Tax, Anti Terror Organizations, Directorate of Revenue Intelligence, Financial Intelligence Unit, Economic Offence Wing, State Intelligence Department, Armed Forces, etc. The agenda for the conference was to discuss topics like best practices in computer forensics, mobile/device forensics in a BYOD world, role of telephone call data in crime investigations, forensic aspects of incident response, legal aspects of digital evidence and related issues. SysTools was there to showcase its forensic range of software solutions which had highlighted as multi-featured forensic e-discovery software for email/mailbox analysis. The software is capable to recover, convert and examine emails from IMAP as well as WEB based email clients like Gmail, Yahoo, Outlook, Lotus Notes etc. The curiosity and interest shown by the representatives of Law Enforcement and other forensic related domain was overwhelming which showed a clear support for like forensic solutions from SysTools to capture new heights. Export the Recovered PST File with Applied Mail Filters by Date Range. Improved performance and speed of corrupt PST file scanning with complete recovery. More Advance option to split PST file by size as you export it as PST, EML or MSG. Perform complete OST file recovery and conversion to Outlook PST file without any errors. New Outlook like user interface for easiness of process navigation. Now enhanced the support to Exchange 2013 EDB files recovery also. Other than EDB to PST or EDB to EDB conversion now tool provides option to export EDB to EML and MSG formats also. In case of huge size of PST file created from recovered EDB, split PST option is provided to avoid 2GB corruption issues. Outlook 2013 (64 bit and 32 bit) version is supported to make it possible to export EDB to Outlook 2013 PST. Get the process report in CSV format with details of source EDB and resultant files or mailbox location once the EDB recovery process is finished. Latest versions of Outlook (2013), Windows (Win 8), and Exchange server (2013) supported. If EDB emails contain attachments in PDF, DOC/DOCX or Image file format then email attachments also can be previewed for easy analysis of data. IF user have Exchange 2003 or lower version of EDB files then software will automatically detect the STM file if it is in the same folder and in case if it is in different location user are requested to browse it. Above all of this update the most beneficiary one is that the free demo version of Exchange Recovery version 4.5 utility gives the provision to recovery and export 25 items per EDB mailbox folder to the desired file format. This option makes it more feasible for the user to determine the efficiency of the software before purchase. For installing the software on 32 and 64 bit machine as well as Outlook same installer will work. Outlook MAC OLM file content can be now exported to the PST, EML or MSG format. New Outlook like UI for the easiness of user reference while working on a known interface. Improved performance rate to convert OLM file to the selected format. Outlook MAC OLM files included with emails, calendars, contacts, notes and tasks can be converted to the PST, MSG or EML formats. Recurrence calendar entry in the OLM files can also be exported while OLM conversion. Before exporting OLM file content to PST, MSG or EML format, preview of OLM file content allowed. Tool helps to maintain the folder hierarchy to provide ease of management after conversion. While OLM files are converted to EML or MSG format then the option for naming convention is activated for customized file saving process. Entire data from the OLM file will be reliably scanned and then converted to PST, EML or MSG format giving widened facility of data access under many platforms. Sort email option is activated via date, subject, to, sent/receive date, or message size. Now get the outstanding qualities needed for the MBOX to PST conversion by downloading the free software that is limited to export 25 items per folder of MBOX file to desired file format. Further purchase licensed MBOX Converter version 2.0 to conclude unlimited MBOX file conversion to PST, EML or MSG format. One click on the option to upgrade PST Viewer freeware to PST Viewer PRO can help user to enjoy advance facilities to meet their need of read PST file, scan PST file, view PST file and then export PST file to PDF as well – and to make all this practice possible there is no need of Outlook installation also. With the help of the freeware to view PST files user can read and analyze the PST file content for free, but to export them to PDF format for further file management or backup process user need to purchase the PST Viewer PRO which carries the listed features along with the ability to export PST as PDF. What makes the PST Viewer PRO edition highly user friendly is its simple GUI and the facility to work without Outlook being installed on the Windows OS used. Now view PST for free and then export it to PDF with a little investment made. Duplicate email finder help user to get the clear idea about how many emails in the PST files are duplicate and how to manage them effectively. Track the PST file email duplicate entries and further remove unwanted emails to get small sized, clean PST file in the location user want it. Email Duplicate Analyzer help to find and delete duplicate emails with the guarantee to generate separate PST file with all the duplicate entries removed from the files. Most highlighted facility with the software is that it helps to find and analyze duplicate items within PST and across PST, in case multiple PST files are selected at one go. Use can export individual PST files without duplicates and also get one consolidated PST files with the entire files merged into one where duplicate entries are all removed. Tool provides the provision to create separate PST file with all the duplicate emails stored in it for analyzing the process progress. User can now avoid the threat of PST file corruption due to oversized PST by removing the unwanted emails from the selected PST. Ability to raw scan of file to erase MBR corruption effectively. Version 2.1 shows feature centric update to ensure the exact result for the process to remove corruption issues within VHD file using Hyper-V Recovery software. There are options for naming convention which gives way for easy management. Naming option include MD5 option which name the file saved with the hash value of email giving update of last modifications done. Retain folder hierarchy to help user get exact match of data as in Domino. Email attachments can be viewed and converted without data loss or deletion. Most highlighted quality of the software is that it can view and export DXL file to the MSG format without any particular email platform installed, which helps user to get the data viewed/stored for any emergency or backup purpose. Free version of the software gives the facility to export 10 items per folder from DXL to MSG for free. Licensed version of the software gives the opportunity to export unlimited number of DXL file to the MSG format reliably. DXL to PDF Software comes with multiple facilities to help user to convert DXL to PDF. PDF format help to print the emails effectively so that managing the data will be much easier. MD5 option in naming convention give the hash value of the emails to check the updates done on the DXL file. Free demo with the limitation to convert 10 items per folder to PDF format for free. There are some of the best options with the software to maintain folder hierarchy like flat hierarchy so that the data can be saved as per user convenience in PDF format. Email attachments also will be converted and saved in PDF format that allow user to view them with a click on the attachment option. Try free demo of the tool and then purchase full version to enjoy unlimited conversion process of DXL file to PDF. Lotus Notes DXL file can be now viewed away from Domino - Notes environment with the help of the free DXL Viewer software. Tool resembles Outlook like UI and give user easiness of navigation and also opportunity to view DXL emails and file attachments in the most user friendly way. User can load DXL files within the tool and then the tool will scan and show the content of the file with normal view and attachment view allowed. When it is all viewed and analyzed user can just exit the tool by closing the set up. What makes the software special for the user is its ability to view DXL files without depending on the Domino – Notes environment. Once user is satisfied viewing DXL files then they can move to export the items to MSG or PDF format by purchasing the DXL to MSG Converter and DXL to PDF Converter, which are recently released online. Other than these qualities there are multiple options added with the software like the software supports to work with Windows 8 as well. User can now add many PST files one by one to get them scanned and recovered to healthy format. Individual PST files will be created for all the files exported in one go. CSV files will be generated with the details of PST repair and recovery process carried out (includes report of resultant and source PST file location). If the PST file carries the email attachments in PDF, DOC, Image files etc then the email attachment preview is also possible after scanning is done. Altogether the Outlook Recovery 4.0 version comes with the multiple benefits for user who faces troubles of PST file corruption because of multiple issues like 2GB file issue, virus attack, PST file damage due to other reasons. Demo version is limited to export 25 items per folder from the repaired PST files, which can be a great proof for the ability of the software solution designed to resolve any kind of error related to PST files. New prompt option to allow/deny the software working in UAC enabled OS. Support Exchange 2013 as well as any other version of EDB file selected. UI similar to Outlook to make it easy for user to work with freeware. Content of email scanned within the tool from EDB file can be previewed. The most appreciated facility within the software is to carry out the entire process to view EDB file in a much user friendly and known Outlook UI. There is no limitation to the size of EDB file that is to be viewed with the Exchange EDB Viewer freeware. Without Exchange - Outlook installation itself the EDB files can be viewed with the new updated version 4.3 of the software. Corrupted/inaccessible as well as damaged EDB mailbox data can be viewed using the multi talented software that comes entirely free of cost with the facility to add, scan and view EDB file even from Exchange 2013 version. To get more facilities out of this tool, user can now upgrade the EDB Viewer to EDB Viewer PRO version also. Outlook like user interface within the software makes it easy for the user to navigate smoothly when the process of OST recovery is on. Get the new upgraded version of the tool to enjoy the much safer, reliable and easy OST to PST conversion process. OST Recovery version 4.0 supports to repair and recover Outlook 2013 OST files (32 bit and 64 bit) and run successfully on Windows 8 OS also. The demo version of the software will be activated to export only 25 items per OST folder to PST, MSG or EML. Option to add multiple OST file one by one can help user to scan and recover multiple OST file all at one go. User will get individual PST file for each number of OST file selected to convert the data. CSV file will be generated with the entire details of the export process execution with the details of source OST file and resultant PST file location. If the OST file stored email have attachments in the file format as PDF, Word, Images file etc then the email attachment preview also is possible. Gmail Backup software version 2.0 comes with the added benefits for the users to get the Gmail backup procedure done with much perfection. Now user can download emails as well as contacts, calendar and documents from the Gmail account selected to be backed up. Advance technology used at the backend of the software provide the option to delete the items from the Gmail account once the backup process is done, so that the space in the Gmail account can be saved by avoiding the unwanted items. Universally accepted formats provided to save the downloaded Gmail data is one other highlighted feature in the updated version. Emails can be saved as PST, EML and MBOX which widens the accessibility of the backup data. Contacts to VCF and calendar to ICS format brings the universal accessibility for the data saved. If it is the data from the document that is downloaded then it can be saved to the original format in which it was created say XLS, DOC or PPT etc. Date range filter option to customize Gmail data download process gives provision to manage the Gmail backup process much easier. In the updated version user will find it effective and easy to carry out the process of Gmail backup without any trouble. Demo version limitation stay the same allowing backup 25 items per folder from the Gmail account selected. Quality and perfection that user anticipate to get in a perfect converter is all available within the Outlook PST to PDF Converter version 2.0. The properties shown by the tool to maintain the data properties of Outlook PST items is retained with added speed to execute the conversion. The newly added feature with version 2.0 is that it helps to convert emails, contacts, tasks and calendars to the PDF format. Now Outlook 2013 users also can convert PST to PDF format because the tool updated version supports 2013 Outlook PST file as well as Outlook 2010 64 bit platform. Tool help to maintain folder hierarchy, with naming convention allowed for easy management of converted data. User can work with the Outlook PST to PDF Conversion tool on any of the Windows OS used. Naming convention allowed while user decide to save data on desired location. Now user can get the SQLite Database recovery without providing DSN (Data Source Number), because updated version 1.2.0.0 of SQLite Database Recovery software comes with many user friendly attributes. With the recent updates done the software is now capable to work with much speed, accuracy and perfection whenever SQLite database files (db3, .SQLite etc) are reported to be corrupted and need to be recovered. Now, once error messages states that SQLite database files are corrupted get them recovered easily by loading, scanning and previewing the content of the .db file selected with the SQLite Database Recovery tool that give option to export recovered database to either Microsoft® Access Database or to other database. Facility with the updated version of the software is that unlike the earlier version there is no need to select the DSN connections while extracting the database to healthy format. Single click will show the EML files with attachments also displayed. EML files can be viewed with the email properties and other credentials unchanged. Free of any spyware or malware infection make it reliable download. Can view entire folders from OST files as: Mails, Calendar, Contacts, Tasks, Notes, and Journals etc. GUI resembling MS Outlook style makes it easy for user to navigate and view OST file data. Preview of entire items from the folders with the email properties and email attachments shown. Supportive to 64 bit OS making the freeware a all-rounder solution to recover and view corrupted/healthy OST file data without Exchange/Outlook platform available. Will show entire properties of email for a overview of MBOX data without MBOX supportive platform. Multiple features added with the new version 2.0 of Google Apps Backup software make it a all-rounder solution to manage Google Apps account stored data. In other terms it can also be called as one time investment to save Google Apps storage space in the safest method adopted. To avoid the trouble of IT Admins in managing the Office 365 account and user quota, here comes the innovative software solution- Office 365 Admin Manager. The tool works exactly as an assistant to the Administrator of the account in Office 365 platform by helping to get details of all mailboxes with last login and user quota information provided systematically. Other exciting facility with the software is that it helps to add email signature to the users within the same organization having admin rights. Other than this benefit it is also possible to apply disclaimer message of customized text to all users, making the tough task of login to multiple user account and add messages easier than ever. Once the Office 365 account is login via Office 365 Admin Manager user will get the facility to view, modify and add new mailboxes within the platform as well. The tool provide option to manage external contacts to Office 365 opens a easy door in managing Office 365 accounts by the admins, so get the tool downloaded and use it for free for the 7 days and try adding free signatures to the user accounts to check the efficiency. To avail other facilities as well purchase full version fo the software for nominal investment. Mail Converter version 1.0 comes with the provision for multiple email conversion resolving the multiple file conversion needs of user. Software can convert OST to PST, convert Exchange EDB to PST, convert MBOX to PST and also supports conversion of Outlook to HTML, Outlook to PDF, and Outlook to EML. In simple, Mail Converter can load and scan PST, OST, EDB and MBOX files to convert them to any of the format as PST, PDF, EML, MSG and HTML. Facilities are many with the multiple email conversion tool as it is possible to convert healthy as well as corrupted files to the selected formats. Mail Converter takes extra care to retain folder hierarchy, data integrity and also provides naming convention while converting emails to ensure the proper management of data. Affordable price and multiple options to convert data make it all easy for the user to recover and convert the data they want into the format they select. CEIC is the biggest annual conference run by Guidance software every year covering cyber security, eDiscovery, and digital forensic evidence research arenas. This year the event took place at Orlando and SysTools participated in the event to show case their advance software solutions that can make it easy for the investigators to examine the mail evidences as well as handle any kind of data management issues effectively. The Big data issues that contain lots of information to be managed was the topic of discussion as now a days it is seen more subtlety in the area of eDiscovery and cyber security. Industry is moving towards yet more cost effective and easy to execute solutions and to showcase such products CEIC 2013 was a perfect zone. SysTools got the participation successful with their 100+ product range matching the e-Discovery needs of lawyers and investigators. 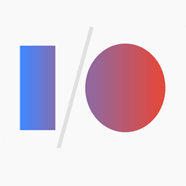 Social Conference Organized by Google - The Search Engine giant inspired the Gen X techies via introduction of world’s latest technological innovations and breakthroughs. Ushering audience into the next generation of Cloud computing by announcement and demo of important features updates on the Cloud platforms make it a perfect venue for SysTools to highlight their products supporting cloud computing platforms among rich and diverse group of cutting edge technology developers. The theme of Less Pain, More gain was discussed on matter of improving user experience and reducing developer stress through the framework including unique combination of users, platform etc. In depth tour on Android development devices, Google Drive SDK, YouTube, Google+, Cloud Computing, other techniques and best practices in the industry make the conference worth added to the golden memories of events SysTools covered this year. Business Continuity Planning addresses and identifies the organization’s exposure towards the internal or external threats of data loss. BCP and IT Disaster and Data Recovery Conference was officially sponsored by SysTools with the aim to unite different industries and network of people for information sharing and initiate steps for further Business Continuity Planning. 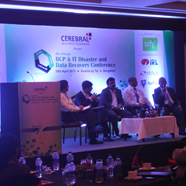 Interactive discussions, technology demo, detailed case studies and other active discussion on matter of IT disaster and data recovery helped the BCP professionals to take away huge knowledge of the industry. SysTools team for disaster management and data recovery shared their views on BP and also assured service for many organizations to get their IT disaster recovery planned accordingly. 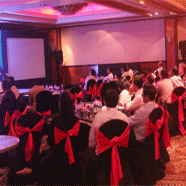 2013 Bangalore event turned as a venue for the specialist in Business Continuity field to meet up with the exact audience who really need professional BP and DR scheduled. Get the new software Google Apps Backup to backup entire items from Google Apps to Outlook PST or EML file format. With the advance algorithms and facilities available within the software it is ensured that the complete emails, calendar entries, records and other items are converted to the desired file format without any data loss. The facility to backup Google Apps data to PST or EML provide the opportunity for user to access their data under multiple email platforms like Outlook, Outlook Express, Windows Live Mail etc. 3 Kind of backup options are activated within the tool as Full Backup and Date based Backup, that provide customized email backup procedure for users. Many attributes available within the software Outlook MAC Exporter make it the choice of millions of users in the world and now in the updated version 5.5 the qualities like improved speed for Normal mode of recovery, iteration of folders done with perfection and all is available for the same rate as before. Considering the demand and feedback of users regarding OLM to PST conversion process that they share with the 24x7 support team time to time updating are done, and this version 5.1 is also such an effort put forth. OLM to PST conversion with the Outlook MAC Exporter is the most affordable way adoptable for the email conversion from MAC OS to Windows OS. The qualities within the tool will be added and updated time to time to make it the perfect solution for any kind of user queries related to OLM to PST migration.